Hertz Furniture, the premier school and office furniture supplier, has declared Maria Tristan, a librarian at Dr. Palmira Mendiola Elementary School in La Joya ISD, the winner of its "I Love My School Librarian" contest. Each contestant had to be nominated by a student, teacher, principal or parent who completed an online form and wrote a short paragraph on: "Why You Love Your School Librarian." The grand prize was an ergonomic Airflow Executive Office Chair from Hertz Furniture. The contest winner, Maria Tristan, won the title "Teacher of the Year" back in 2005-2006 at the Salinas Elementary School in the United Independent School District; she was awarded the same title in 2008-2009 by the William J. Clinton Elementary School in La Joya ISD. This time, she was honored by her students for her dedication, personal attention, and hard work. As explained by Mrs. Tristan, her personal philosophy about reading is expressed in a quote by Dr. Seuss: "The more you read the more things you will know. The more that you learn the more places you'll go." She went on to say: "Every time that I get an opportunity to read to my students, I explain to them that reading is a portal to a diverse world with exciting and new things to experience… My goal is to facilitate student achievement and education, beginning with student literacy." Mrs. Tristan also runs a weekly Book Club for students and a monthly Library Literacy Night for students and teachers. Her prize, a Hertz Furniture Airflow Executive Office Chair, is ergonomically designed with adjustable lumbar support and a mesh backrest for cool and comfortable sitting. Hertz Furniture also carries the full range of premium school furniture, including student desks and chairs, computer tables, wheelchair accessible furniture, mobile science labs, playground equipment, cafeteria tables, mobile classroom partitions, stages and risers, and more. Hertz Furniture also hosts the School Matters Blog, which covers current educational topics such as technology in the classroom, bullying, and flexible classroom designs. Recently posted video blogs include "Bullying Prevention Methods," discussing peer mediation and other bullying prevention techniques, and "Communicating with Students After a Natural Disaster," which was created in the aftermath of Hurricane Sandy. 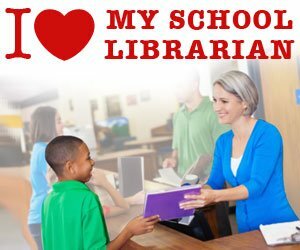 "We are thrilled to announce the winner of the 'I Love My School Librarian' contest," says Hertz Furniture President Saul Wagner. "We recognize the critical role librarians play in inspiring and empowering young readers, and we were in turn inspired by the stories of the many dedicated and hard-working school librarians who were nominated."